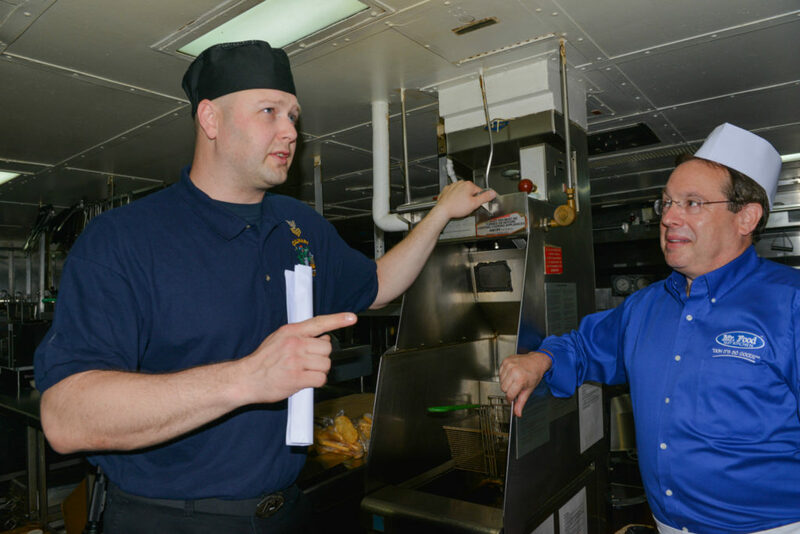 Last year I had the opportunity to go aboard the USS Cole with some of the Mr. Food Test Kitchen team during the 2015 Fleet Week. 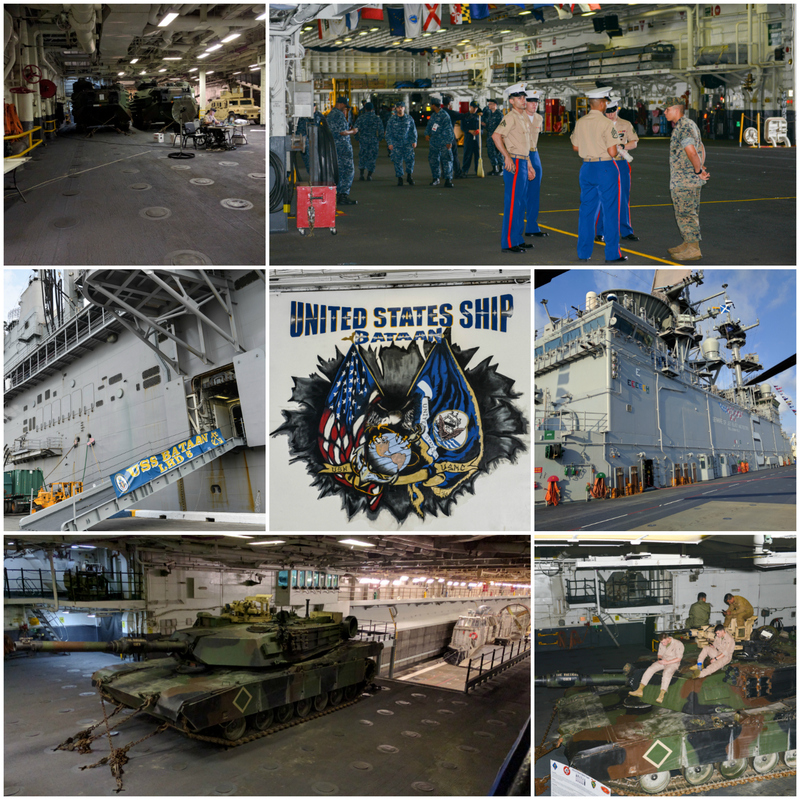 This year, we were invited to tour the USS Bataan (LHD 5), a multipurpose amphibious assault ship that’s “designed to enable the Navy-Marine Corps team to accomplish a seamless transition from the sea to a land battle.” (Source: USS Bataan Fleet Week brochure). I thought the USS Cole was big, until we got on board the USS Bataan! Just check out this photo from their Facebook page for a size comparison. Since we’ve recently started a free radio podcast, we thought it’d be a great idea to record one of our shows on board and have the sailors participate. Luckily, the sailors thought it was a great idea too, and we were able to record right from the general crew’s dining area! 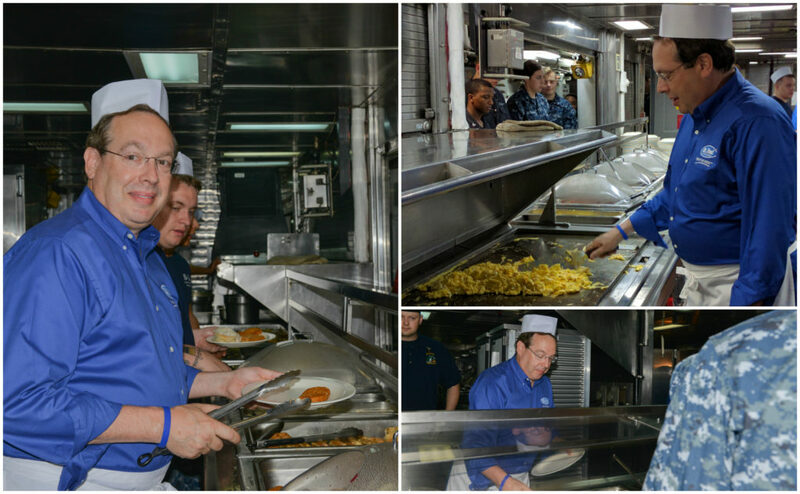 We got there bright and early, so Howard could help serve the sailors their breakfast, which starts at 6am sharp, and we could tour the ship a bit before starting the radio show. 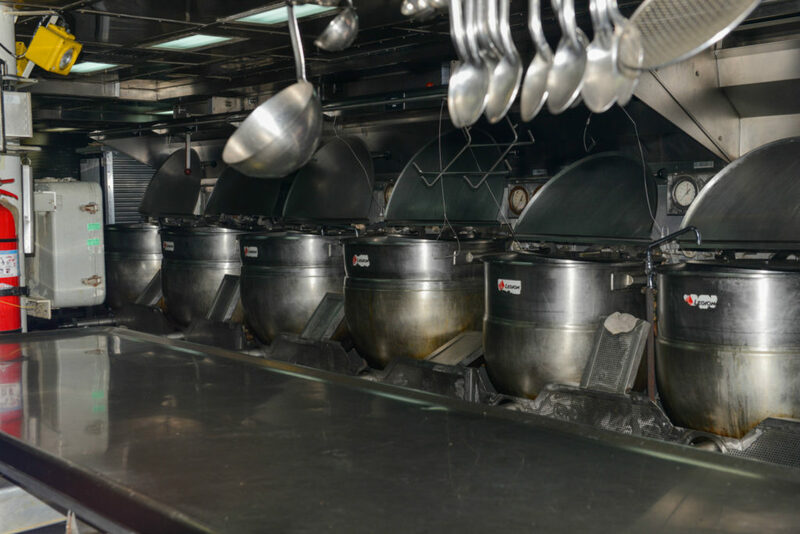 Breakfast on the USS Bataan includes everything from made-to-order eggs, waffles, bacon, biscuits, gravy, hash browns, applesauce, and more. That’s not to mention the cereal, fresh fruit, cookies, and other snacks that are readily available all day long. Howard couldn’t resist a taste of those fluffy biscuits! 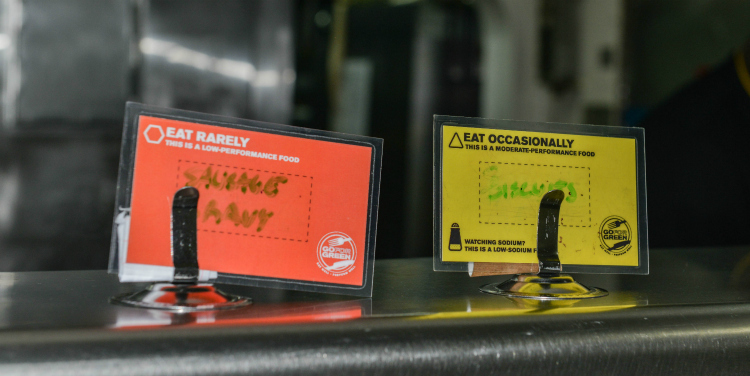 If you’re wondering why some of the signs above the food are red and some are yellow…well, those are there to help the sailors make healthy choices. Just like a traffic light, green signs indicate the healthiest option for optimal performance, while red signs indicate low-performance foods. The signs also indicate other health concerns, like sodium levels. CS1 Wheeler giving Howard all the info! Imagine how much soup you can make at one time! 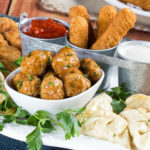 Food is bought by the pallet and delivered at least once a week. 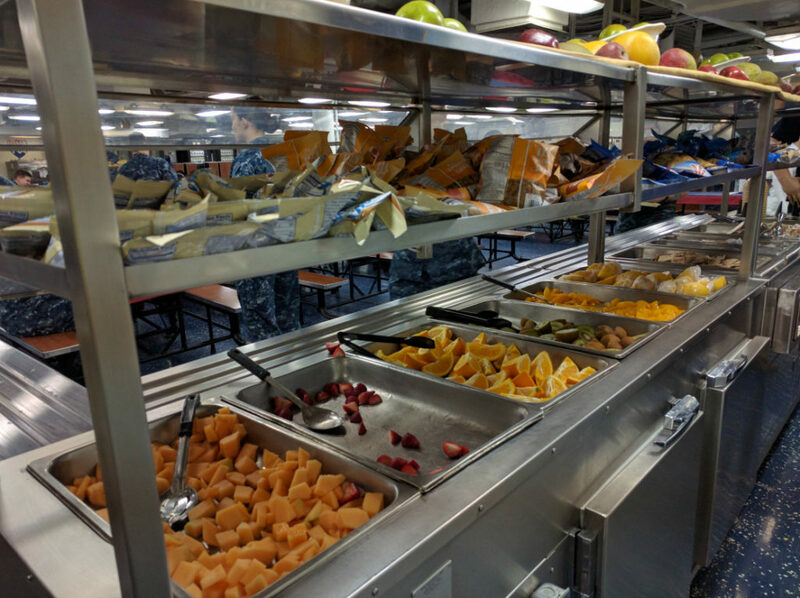 Even when the USS Bataan is out at sea, they still receive shipments from supply ships, which can be considered something like “floating warehouses.” With so many mouths to feed, it’s important to keep an accurate inventory of everything in the freezer, chill boxes, and dry storage at all times. 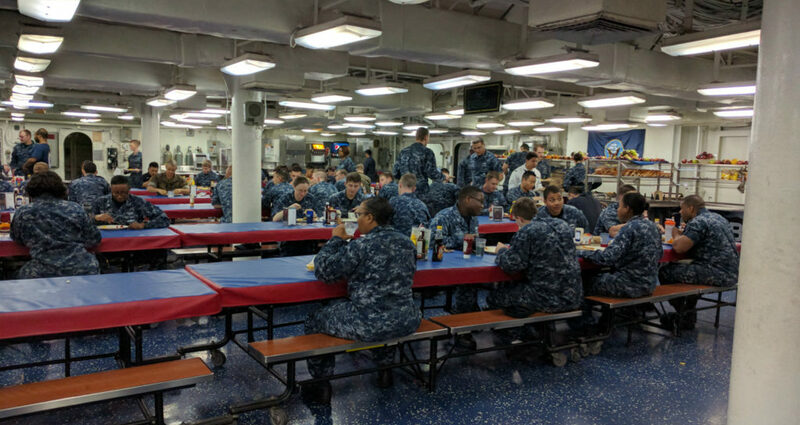 Something I learned from listening to the sailors talk about food is that food is really used to boost morale. 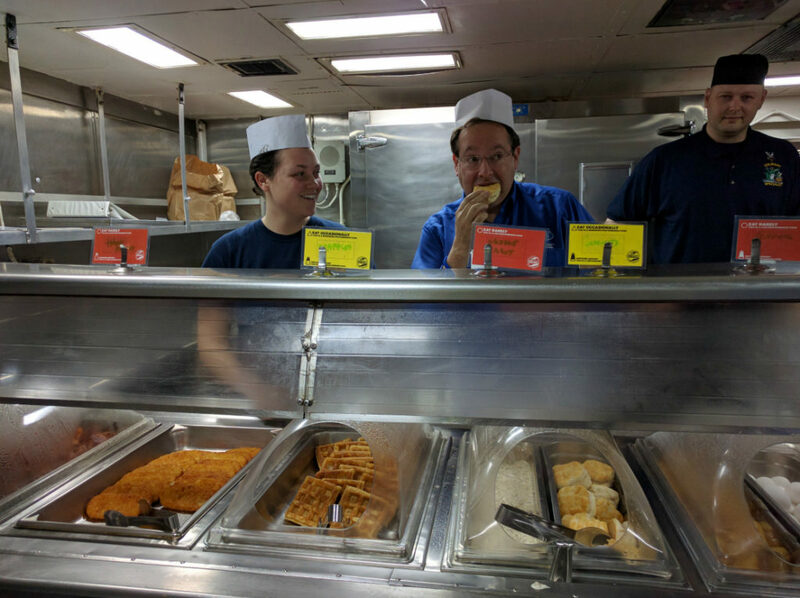 In fact, a few of the sailors talked about the food days they look forward to, like Taco Tuesdays and Burger Day Wednesdays. They even enjoy surf and turf once a week! 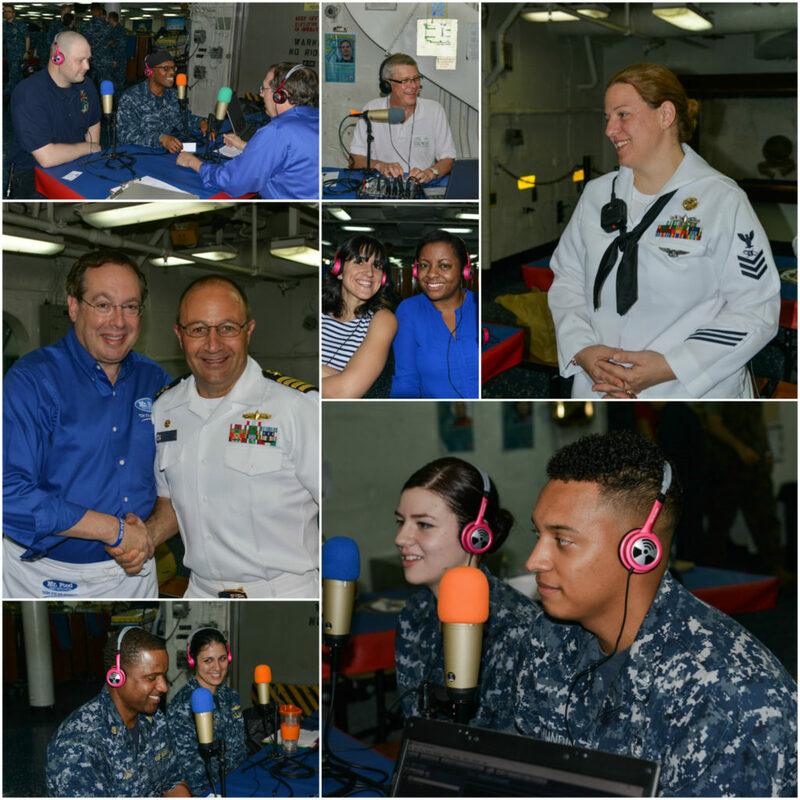 If you want to hear more about what the sailors enjoy eating onboard the USS Bataan, check out the free radio podcast. You’ll also get to know why some of these sailors joined the U.S. Navy and how they feel about serving their country. Nothing is better than seeing all of this stuff in real life and getting to know a real sailor, so I highly recommend you try and check out the Fleet Week nearest you whenever you get a chance. 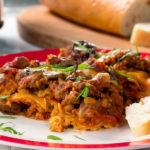 You can find a list of events here. Here’s Howard at the end of our tour. Can you caption this? 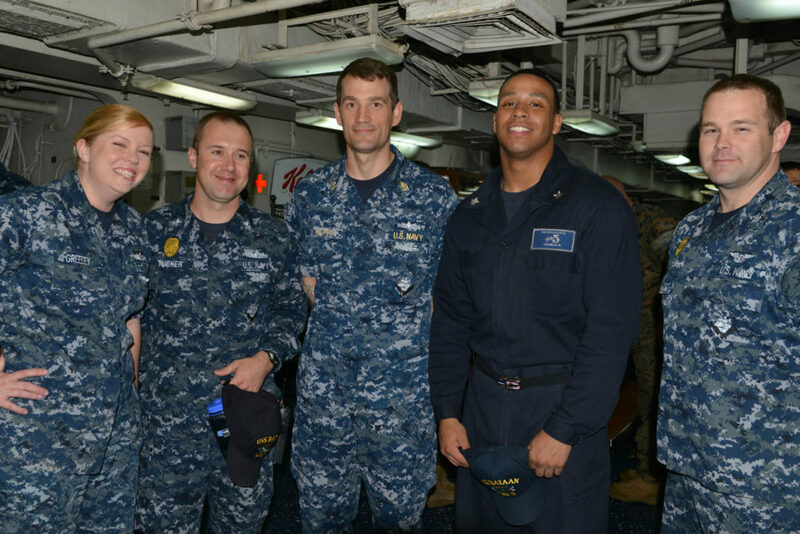 Click here to check out even more photos from our day on the USS Bataan. Note: On June 10, 2016 Capt. Eric Pfister relieved Capt. 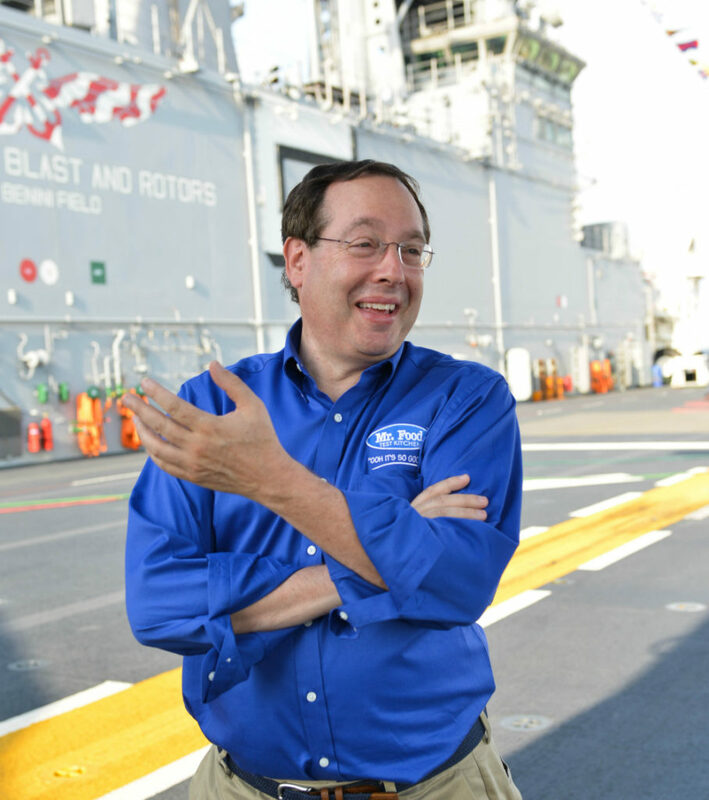 John Carter as commanding officer of amphibious assault ship USS Bataan (LHD 5).